PewDiePie/YouTubePewDiePie is the most popular YouTuber in the world. Morning! Here is everything you need to know ahead of your first meeting. 1. Alibaba has said $US2 billion-worth of goods were sold in the first hour of its Singles Day shopping bonanza in China today. Singles Day — which Alibaba has been promoting since 2009 — has already surpassed major shopping landmarks in the US such as Thanksgiving Day, Black Friday and Cyber Monday in terms of sales, according to comScore. 2. Calvin Klein’s choice of a plus-size model has sparked outrage amongst consumers online. The brand’s new lingerie campaign features a “plus-size” model who is only a US size 10 (although New York Magazine reports she’s closer to a size 8), while generally plus sizes start at size 12. 4. These are the 20 most popular YouTubers in the world. 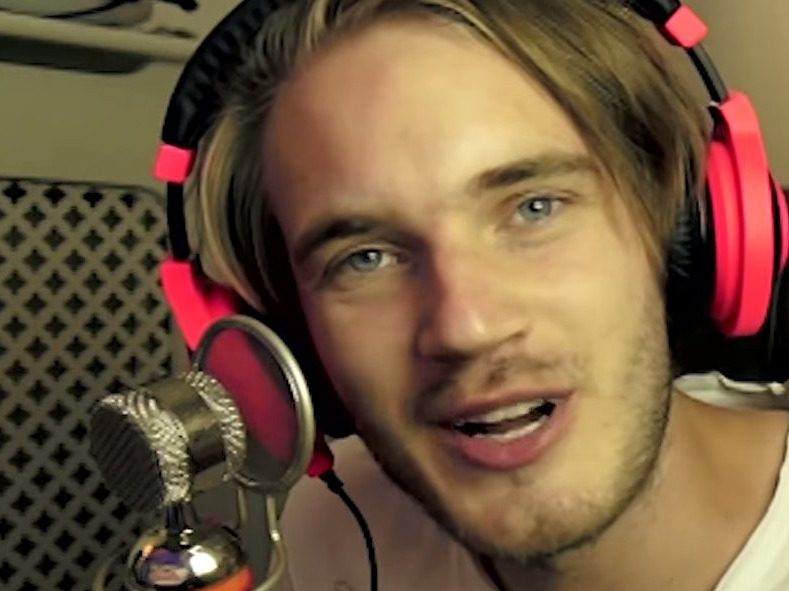 Swedish, sweary video game commentator PewDiePie remains the biggest YouTube celebrity. 5. Did you notice that these 15 companies changed their logos last year? There were some high profile redesigns like Airbnb and Hershey’s, but also a smattering of more subtle changes. 6. Mayonnaise is at the center of a legal battle between Unilever and a sandwich spread startup. Unilever, which owns Hellmann’s, is suing a company that makes a mayo substitute for fraud, in part because the substitute (Hampton Creek) is denting its sales. 7. Sticking with Unilever, the CPG giant is insisting to its agencies that 100% of an ad should be in view in a consumers’ browser for it to be counted, AdAge reports. That’s far higher than the industry wide agreed standard of 50% of an ad in view for one second. 8. NBC has just 9 to 10 of its $US4.5 million 30-second advertising slots remaining for the 2015 Super Bowl, AdAge reports. However, the company has admitted advertisers are “just not ready to make a commitment” as previous years, which is consistent with the overall recent decline in upfront TV spending. 9. Forrester predicts that CMOs will stay in their roles for an average of five years from 2015 as they gain more influence within their companies, according to a new report. Received wisdom is that the average CMO tenure is just 18 months, so that’s a huge leap. 10. Organic reach on Facebook is not quite dead yet, Digiday reports. Research from social media analytics firm Socialbakers shows while the minimum reach a brand can anticipate from a post is down to 1.5% (from 5.5% in 2013), the rate at which engagement (consumers liking, commenting or sharing) increases the number who see it is higher than before.